Raining cats and dogs? Try porcupines! 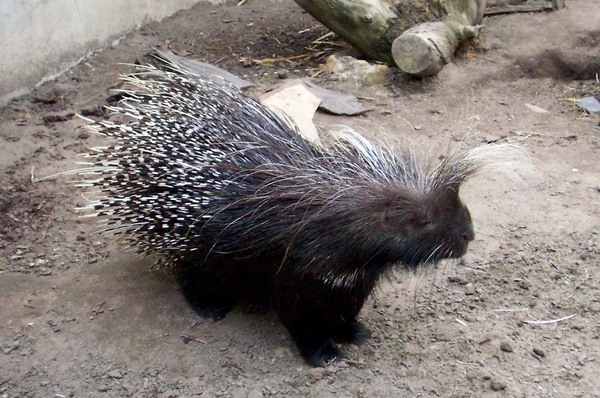 A woman was injured when a porcupine animal fell from the sky, embedding over 200 quills into her head. Raining cats and dogs? Try porcupines! A woman was hospitalised after being hit by a falling porcupine. Sandra Nabucco was left in agony when the animal fell from a telephone wire onto her head as she walked her dog around her neighbourhood near Rio de Janeiro in Brazil. She was left with over 200 quills embedded in her head, which were later removed by surgeons with tweezers. The 52-year-old housewife told Brazilian TV network Globo: "It was a huge shock. I felt a thud on my head and then felt spines with my hands. The pain was enormous." Despite her terrifying experience, Sandra was pleased to have saved the animal's life. She said: "I am a strong woman; an old person or child would have died. I also care about the animals.